When you open a bag of dried Porcini mushrooms and inhale deeply it’s like opening a great bootle of beer, an amazing red wine or the oven door when the Sunday leg of lamb is just cooked…..it will blow your socks off!! Porcini mushrooms are worth paying for – they will add flavour to absolutely anything – they don’t look particularly attractive but when you see past the superficial wrinkles and lines and the fact that these are a simple dried fungus you begin to appreciate exactly what these little beauties are all about! They are beefy, meaty and robust, use them in stews, casseroles, slow cooked dishes like beef and lamb to increase the mid tones of your dishes. Think Anchovies but gnarley and dried up…..which is a good thang! 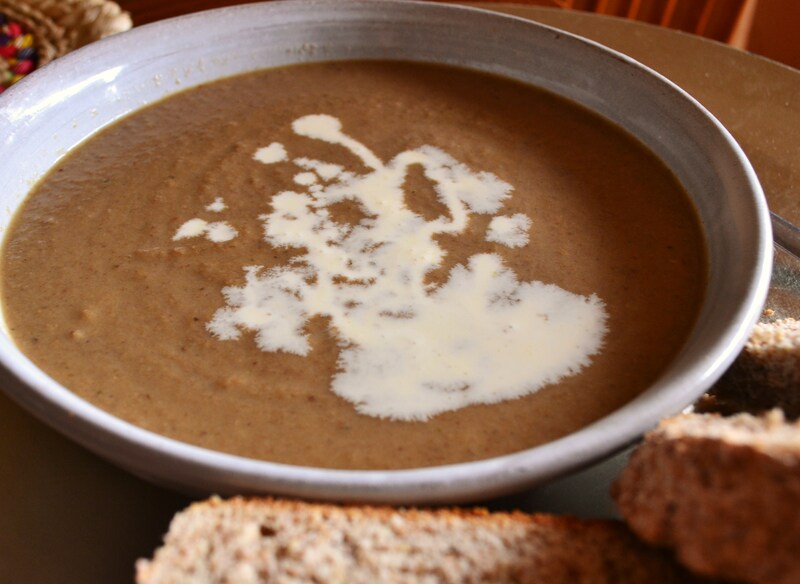 In truth Porcinis are best suited to Autumn but this Poricni Soup is bang on que at this time of year – serve with a lot of cream and a lot of brown bread. 1 bag of dried Porcini mushrooms – get the best you can. Kick off by soaking the Porcini mushrooms in just boiled water – leave aside in a bowl for at least 15 minutes to get the properly re-hydrated. Next add some olive oil to a soup pot along with a knob of butter then add the onions and button mushrooms – sweat down for 8-10 minutes. When the Porcini mushrooms have softened add them to the onions and button mushrooms then add the stock. Make sure to use only 90% of the Porcini juice leaving some behind as this will hold the grit and dust from the mushrooms. Bring the soup to a simmer and leave for 10minutes before adding the cream and blizting to your own preferred consistency.